The two Hope Cove beaches are some of the most popular spots in South Devon, thanks to their combination of beautiful natural scenery and excellent facilities. Sat nav users, use the postcode TQ7 3HQ. The Hope Cove beaches are around 4.5 miles from Salcombe. Leave Salcombe on Salcombe Road/A381. You will come the village of Malborough. Turn left when you see the garage/Co-operative on your right. You will pass a church on your right. Turn right onto Malborough Green, following the sign to Hope Cove and Galmpton. Continue straight on all the way to Hope Cove. The car park will be on your left, opposite the smaller beach. Hope Cove is just under 20 miles from Dartmouth. Take the fourth right, signposted for Galmpton and Hope Cove. Follow this road for two miles until you come to Hope Cove. The car park will be on your left, opposite the smaller beach. The Tally Ho 162 bus service from Kingsbridge to Hope, via Thurlestone stops at Hope Cove. At just under five miles, this circular walk that starts and finishes at Outer Hope Car Park offers a moderate challenge and some beautiful countryside and coastal views. 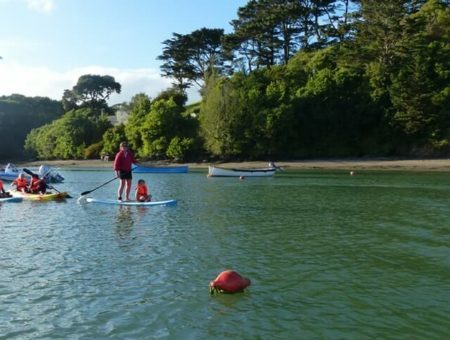 The more ambitious could walk from Salcombe to the Hope Cove beaches along the South West Coast Path, involving about eight miles of stunning coastline and challenging terrain. Taking an inland route through Malborough and Galmpton shortens the journey to around 4.5 miles and gives a nice circular route option. There is a large car park by Mouthwell Sands (the smaller northern beach) and some on-road parking available. Mouthwell Sands: only between 1st October and 30th April. Beautiful Thurlestone beach is similarly split into two beaches, one little cove to the north and a longer southern beach. 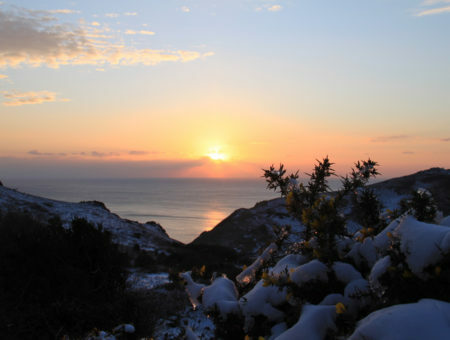 Hope Cove is made up of two beautiful beaches, both popular with visitors. Mouthwell Sands to the north is the nearest beach to the car park. The longer Harbour beach sits just to its south. The two are easily accessible and it’s worth exploring them both during your trip. Mouthwell Sands buzzes with happy holidaymakers during the summer and the Harbour beach offers unforgettable views of Bolt Tail. 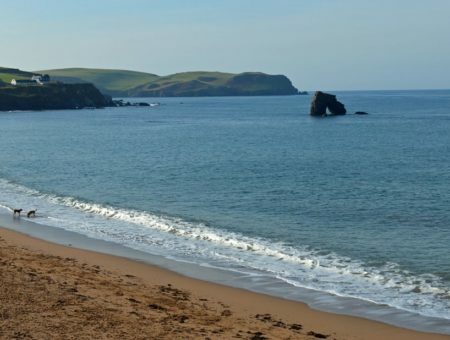 With seasonal lifeguards and water quality designated as excellent by the Environment Agency, Hope Cove’s beaches are great for families to visit for a safe swim or paddle. The mix of sand and rocky areas means that Mouthwell Sands in particular is great for sandcastles and sunbathing as well as exploring the rockpools for sea life. Known historically as a smugglers’ haunt, Hope Cove also had a fearsome reputation for wrecking passing ships against its rocks – so often that plundering what was left of them was an important part of the local economy! These days it has other ways of ‘trapping’ visitors, simply by offering them a holiday experience they’ll want to repeat over and over again during their lives. 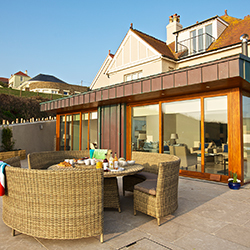 Choose from over 30 holiday homes in Hope Cove for an unforgettable break in this popular seaside location.